Most people faced with chemotherapy are apprehensive, and why they shouldn’t they be? Even if you’ve read up on the subject, it can still be like charting unknown territory without a compass. After all, having chemo isn't something many of us have personally seen or experienced. For the most part, all we tend to know comes from a movie or TV show, neither are which are reliable sources. What should I bring to occupy myself? Can I nap during a session? Will I be alone or with others in a room? These questions are all fair and reasonable, and something worth exploring in detail. On a typical chemotherapy day, you will check in and may have a short visit with your oncologist before the session begins. You will be weighed, your blood pressure checked, and your temperature recorded. Your doctor may also want to check your blood cell counts to ensure they are high enough to receive chemo. This doesn’t always happen on your first visit as they will likely have baseline blood results on file. However, on subsequent visits, you can expect to have your blood drawn before each session. Most often, an IV catheter will be used (unless you have a chemotherapy port) and blood will be drawn from that access point. Once the doctor reviews your lab results and deems your levels high enough to receive treatment, a nurse will begin your infusion. Depending on what type of chemotherapy drugs you are prescribed, your doctor may order medications to help relieve side effects like nausea and anxiety. These will be given intravenously in advance of your chemotherapy. Sessions usually last a few hours. You may be given a private area or be accommodated in a bay (an open space that holds several people). Patients usually bring a wide assortment of things to do, from iPads and books to office work and knitting materials. Some will bring a friend along to keep them company, while others may choose to be alone and take a nap. Once your infusion has ended, the IV catheter will be removed. Your chemotherapy nurse will again check your vitals and discuss any side effects you may be experiencing. In some cases, your doctor may opt to send you home with prescription drugs to help combat the ill effects of the chemo. It is generally a good idea to have your prescriptions filled before returning home. You may feel fine right after treatment, only to experience nausea or stomach upset once you're in the safety of your own home. Having your medications on hand will help enormously. During your first few chemotherapy sessions, you may want to arrange for someone to pick you up when you’ve finished. It’s certainly the right choice to make for your first visit since you'll have little idea how well or poorly you will respond to treatment. Driving may be the last thing you’ll want or be able to do. If you cannot arrange transport, consider taking a taxi or inquire about patient transportation from your local chapter of the American Cancer Society. Many offer these services at little or no cost to you. 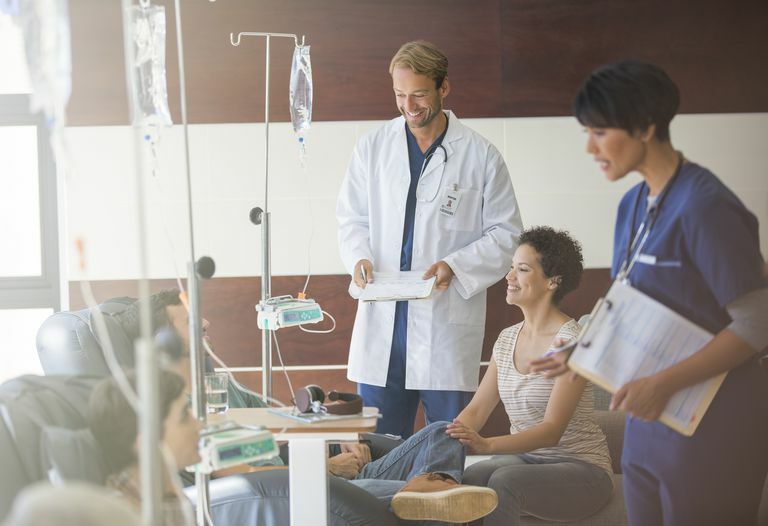 Once you have your first chemotherapy session under your belt, we’re sure you'll feel more at ease about the logistics of having an infusion. If you have any questions before, during, or after a session, don't hesitate to call your primary care physician or your chemotherapy nurse or doctor. Can I Drive Home After Chemotherapy?